Medical waste is defined by the Environmental Protection Agency as anything that contains bodily fluids or wastes, such as surgical gloves, needles, swabs, body organ cultures and even bloody bandages. Medical waste can come from hospitals or veterinary clinics, as well as laboratories and research facilities involving stem cell research or those creating chemicals or medicines for health care use. Sometimes, such types of waste end up in the ocean, and are potential hazards, not only to the ocean environment, but to humans who come into contact with it. Some medical waste in the ocean may be contaminated with blood or other body fluids of individuals diagnosed with acquired immune deficiency syndrome, more commonly known as AIDS. Think Quest, a student resource and information portal, believes that many medical companies and facilities around the globe wantonly toss medical waste and garbage into the ocean for easy disposal. Toxins from medical waste dumped in the ocean affects the sea life and organisms that eat plants or fish who have ingested or absorbed such wastes, suggests Think Quest. Such medical wastes as drug or culture dish pollution or toxins are then passed along food chains in the ocean and can affect everything from sea coral to whales. Humans who eat tainted seafood or plants may also ingest harmful toxins that affect human growth, development and health. Beaches are often closed, reducing tourism, recreation and revenue for ocean-side cities, when medical waste is found floating in the water or washing up on shore. One of the most common incidents is the discovery of syringes and needles, which may be contaminated or infected with hepatitis or other blood-borne pathogens and diseases, according to a USA Today article by Chris Newmarker. Medical waste found in the ocean or washed up on shorelines may contain strains of bacteria or viruses that could affect human as well as sea life. 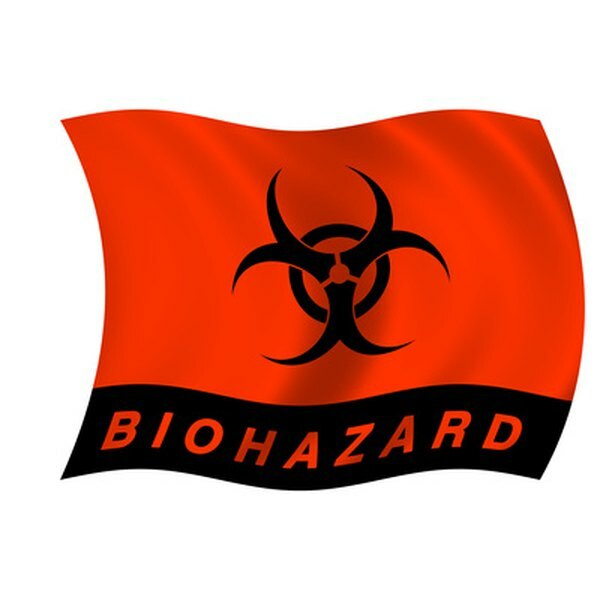 According to Medical Waste Services, LLC, between 10 to 15 percent of medical wastes may be considered infectious.